1864 map showing location of the home of "Mrs. Resseguie". Modern aerial view. See a larger aerial view. 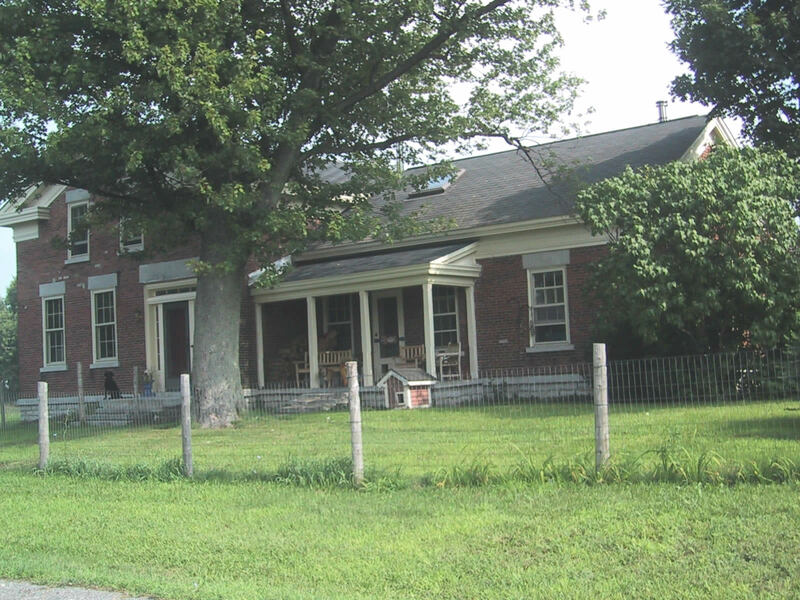 The Resseguie home was built around 1840 on Parker Road in the vicinity of Camps Mills and Sulpher Springs. The architecture is Greek Revival vernacular farmhouse. 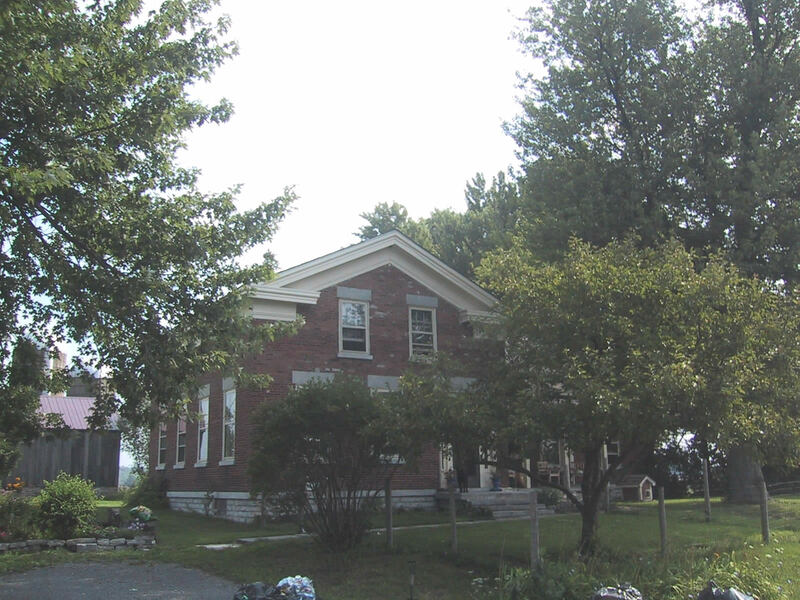 The brick and stone used in its construction are said to have been made in Watertown and shipped to the site by floating it down Camp's Ditch. Several of the home's original timber-framed outbuildings still survive today. 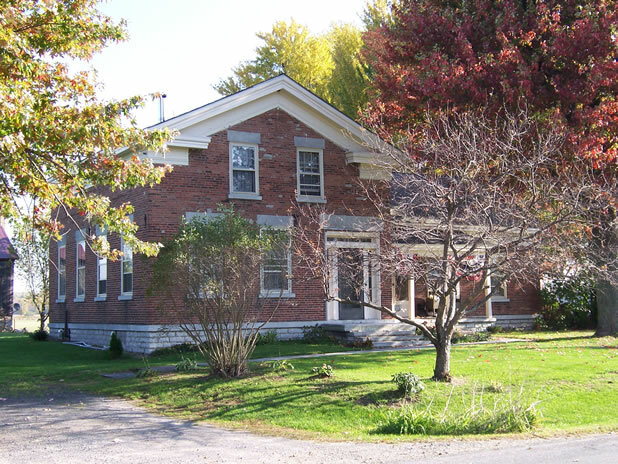 The home was built by Samuel Resseguie and his wife Lydia Brown, who came to the area shortly after their marriage in 1822. Samuel was born 28 November 1800 in Northampton, Fulton Co., New York, son of Daniel Resseguie and Mary Monroe. Lydia was born around 1800 in Saratoga, New York, daughter of John Brown and Lydia Sprague. "With his newly married wife Mr. Resseguie removed to Houndsfield, making the journey with a yoke of cattle, and spending seven days on the way, their road being indicated by 'blazed' trees. They settled on a farm of fifty acres, which, by industry and economy, had been increased to 220 acres at the time of his death." Daniel, born 26 January 1824; married Almeda Austin. Esther, born 13 May 1826; married first Joel Hayden Phillips, married second Daniel Hall Lindsey. Belden, born 15 April 1828; married Thurza Delavergne, married second Elvira Signor. Samuel, born 27 July 1830; married Elvira Elizabeth Carpenter. Cordelia, born 18 July 1833; married Augustin Cook. David, born 5 November 1835; married Lovina Hunt. Mary Emily, born 12 June 1838; married Augustus Signor. Minerva, born 1 August 1840; married Charles L. Patrick. John Brown, born 2 November 1842; married Florence Evelyn Trask. Samuel and Lydia were also parents of Brainard Edsel, an adopted child born about 1841. Samuel died on 24 March 1853. Lydia died 8 July 1882 or 1883. They are both buried in Sulpher Springs Cemetery on the nearby Sulpher Springs Road. 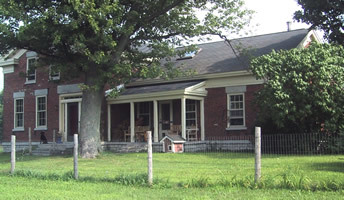 In the 1960's, the home was occupied by the Chandler family. 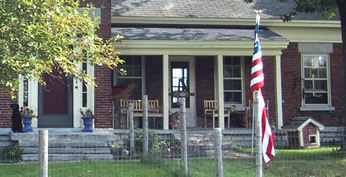 Today, the property still serves as a private residence, and is well maintained. The crossroad immediately to the west of the property is called the "Resseguie Road." 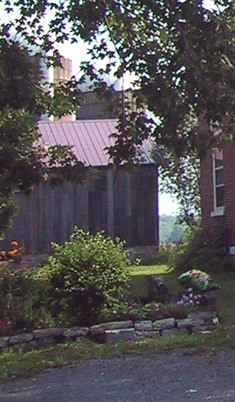 Pictures of the Resseguie homestead, taken 2005 by Roy Nagy, great-great-grandson of Samuel & Lydia Resseguie. 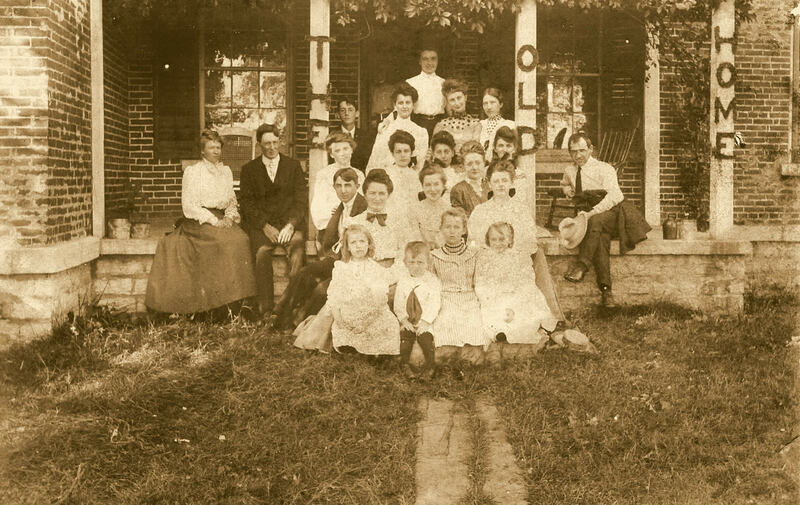 Photo from the collection of Earl Signor (son of Daniel Signor, and grandson of Augustus Signor and Mary Resseguie), taken at the turn of the century on the porch of the Resseguie home; courtesy of Roy Nagy (Earl's grandson). 1855_HO/pg_201_ho_55.htm. [Visited 14 October 2006]. 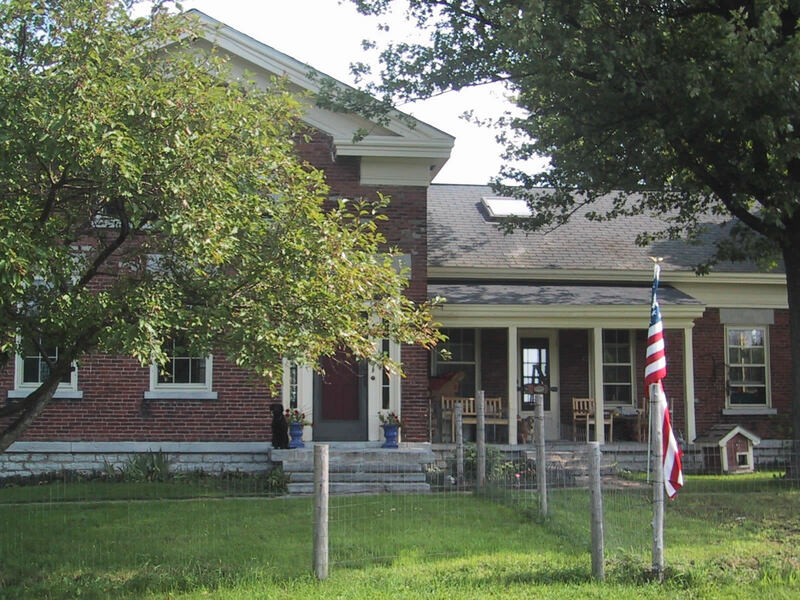 Harbor Walk: A Guide to the History and Architecture of Sackets Harbor. Prepared by Michael D. Sullivan for the Village of Sackets Harbor and Sackets Harbor Historical Society. Permission for reproduction herein granted by David Altieri, Historical Society Board Member. Samuel Resseguie genealogy. Ancestors, Collateral Lines & Others Who Fit In Somehow. By Marie at mom22miracles@gmail.com. Online at: http://worldconnect.rootsweb.com/cgi-bin/igm.cgi?op=GET&db=frotis&id=I2414. [Visited on 14 October 2006]. Morris, John E. The Resseguie Family, A Historical and Genealogical Record of Alexander Resseguie of Norwalk, Conn., and Four Generations of His Descendents. Hartford, Conn.; Press of the Case, Lockwood & Brainard Company, 1888. 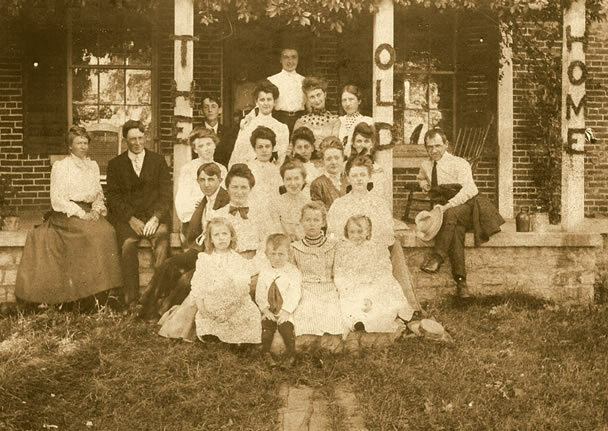 PIONEER RESSEGUIE FAMILY. Contributed by Roy Nagy. Jefferson County, NY GenWeb. Online at http://jefferson.nygenweb.net/ressep.htm. [Visited on 14 October 2006]. © 2006, Mark A. Wentling : : You are the 8930th visitor!